What do seniors want? What will seniors get? Who gets the seniors' vote? 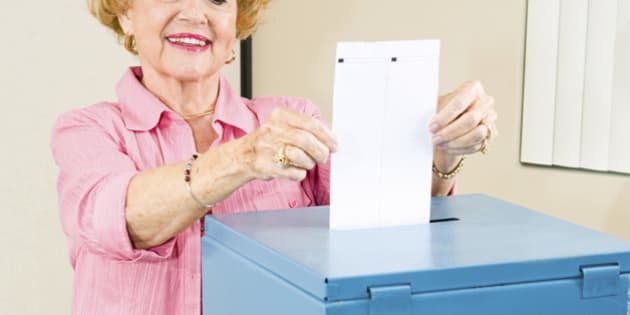 Now that "everybody knows" that seniors are Canada's most committed voters -- peaking at 75 per cent turnout when the general turnout was 61 per cent in 2011, politicians of all stripes are pitching for their vote. What do seniors want? What will seniors get? Who gets the seniors' vote? Now that "everybody knows" that seniors are Canada's most committed voters -- peaking at 75 per cent turnout when the general turnout was 61 per cent in 2011, politicians of all stripes are pitching for their vote. That meant that CARP was busier than ever -- first by throwing down a pre-budget challenge to meet the priority concerns of over 50 seniors' groups across the country collaborating under the rubric of Seniors' Vote. Obviously the parties took note. By the time the writ was dropped, the federal budget had already announced extending the Employment Insurance compassionate leave allowance from six weeks to six months to support people looking after loved ones with a terminal illness. It was a massively important recognition of the economic burden of caregiving but the requirement for a terminal diagnosis remained. Seniors groups have long called for dropping that requirement because it so hindered families who either could not get such a diagnosis or wanting to keep up hope, did not seek it out. During the campaign, both opposition parties promised to eliminate the need for a terminal diagnosis, and acknowledging that critical illness has its ups and downs, the Liberals promised to allow the six months to be taken in chunks as needed. That change can't come soon enough as more families confront the challenges of caregiving every day. Seniors' poverty got some serious face time, too. The Conservatives reminded everyone that they had increased GIS for the poorest seniors in their 2011 budget -- immediately keeping their election promise to spend $300 million to help 680,000 seniors. It meant $50 more per month for a single senior and $70 a month more for every senior couple. The Liberals announced a 10 per cent increase to GIS for single seniors up to $920 per year for single seniors -- who face greater rates of poverty than their partnered counterparts -- and a new Seniors' Index to ensure that OAS and GIS payments keep pace with their needs. Not to be outdone, the NDP promised to increase GIS funding by $400 million. And best of all, the Greens called for OAS and GIS to be rolled into a Guaranteed Liveable income -- the best way to ensure that no senior lives in poverty. Jaw dropping drug prices were also addressed. The Greens and the NDP calling for a National pharmacare program to ensure that everyone can access needed medicines regardless of postal code or pocket book. The Liberals will include reducing drug prices in a renegotiated Health Accord and Rona Ambrose repeated that she would join in the provincial bulk buying efforts. After bidding each other up, they also tried to knock each other down. Increasing the CPP was the top priority for Seniors Vote. The NDP offered to meet with the provinces to get their agreement within six months. The Liberals upped it to three months. The Conservatives doubled down saying they would never, not ever, increase the CPP -- and indeed delighted, I say,delighted!-- to interfere with Kathleen Wynne's plans to introduce the Ontario CPP-lite, but nonetheless offered to consider letting people voluntarily make CPP contributions. But the coup de grace has to be everybody's favourite senior, Hazel McCallion, putting to rest deliberately misleading ads and fundraising letters telling seniors that the Liberals would take away pension income splitting. My work here is done. Happy voting!